World War I Memorial. 1914 . Honour Roll . 1918—. 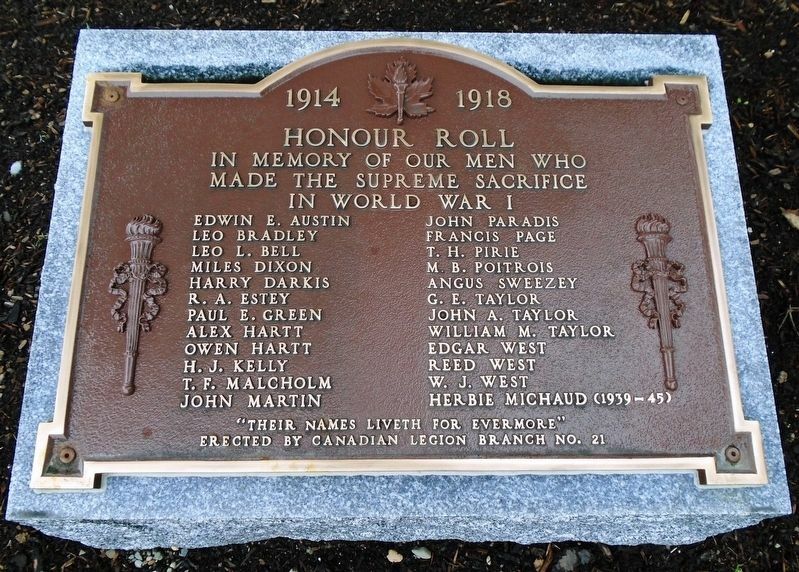 Erected by Canadian Legion Branch No. 21. Location. 47° 2.936′ N, 67° 44.286′ W. Marker is in Grand Falls, New Brunswick, in Victoria County. 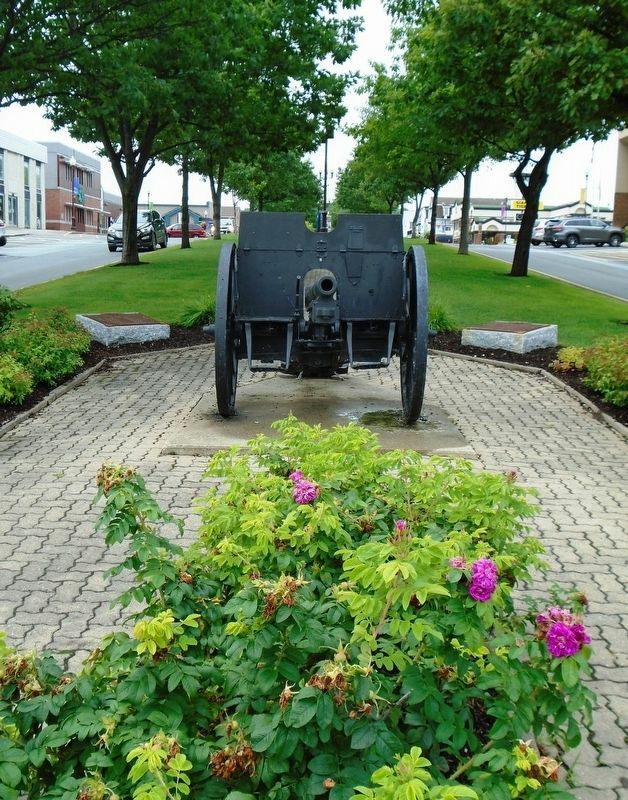 Marker is at the intersection of Broadway Boulevard (New Brunswick Route 130) and Victoria Street, in the median on Broadway Boulevard. Touch for map. Marker is in this post office area: Grand Falls, New Brunswick E3Z 2J8, Canada. Touch for directions. (within shouting distance of this marker); O. B. Davis Park and Lovers' Lane (about 180 meters away, measured in a direct line); Bridges and Piers / Ponts et piliers (about 180 meters away); A Changing Waterfall / Une chute au debit varie (approx. 0.3 kilometers away); World Wars Memorial (approx. 0.4 kilometers away); Veterans Memorial (approx. 0.4 kilometers away). Touch for a list and map of all markers in Grand Falls. Credits. This page was last revised on October 25, 2018. This page originally submitted on October 25, 2018, by William Fischer, Jr. of Scranton, Pennsylvania. This page has been viewed 36 times since then and 6 times this year. Photos: 1, 2. submitted on October 25, 2018, by William Fischer, Jr. of Scranton, Pennsylvania.